The annual Grandparents' Luncheon is Wednesday, May 1 at 11:30 a.m. in Harper Great Hall. We welcome all grandparents and special persons to campus! 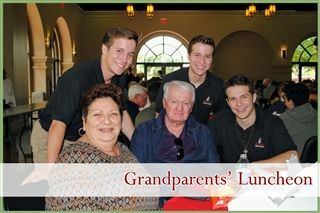 Visit the Grandparents' Luncheon webpage to make your reservations and view the schedule.